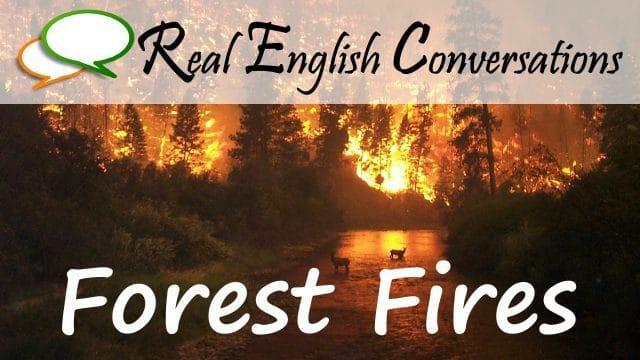 In this English podcast conversation, we discuss some of the recent forest fires that have started in the area where we live, how firefighters work against the fires and the procedures that are in place to help people and animals that need to be evacuated if a fire is near to their homes. Hear about what some people do to watch these sometimes dangerous situations and the nickname we give them. Check out a preview of the transcription and audio player near the bottom of this page.